WannaCry ransomware raises its head once more to attack Boeing production plant in Charlseston. The notorious WannaCry ransomware has returned to strike a Boeing factory in South Carolina. WannaCry, which was thought to have been put under control by Microsoft, seems to have attacked Boeing's production plant in Charlseston, on Wednesday. The attack itself doesn't seem to have done much damage, but has triggered a red alarm in the plant, nonetheless. According to Seattle Times, Boeing Commercial Airplane's chief engineer Mike VanderWel has called for “All hands on deck”. Boeing’s head of communications, Linda Mills, says the issue was quickly fixed. 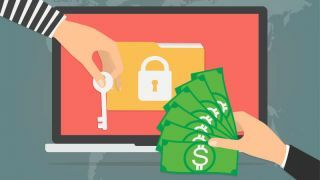 VanderWel has expressed his concern that the ransomware might make it into airplane software. WannaCry is a type of ransomware which is being said to have been built in North Korea. It was first discovered in December 2017 when it attacked many organisations, including quite a few hospitals in the UK. Cybersecurity experts were quick to find a hotfix in the form of a kill switch. Microsoft followed up later, issuing a patch. The patch managed to limit the spread of the ransomware, but obviously failed to eliminate it completely.